I know that this issues has been discussed, and I indeed find information on this forum and try the suggestions out. 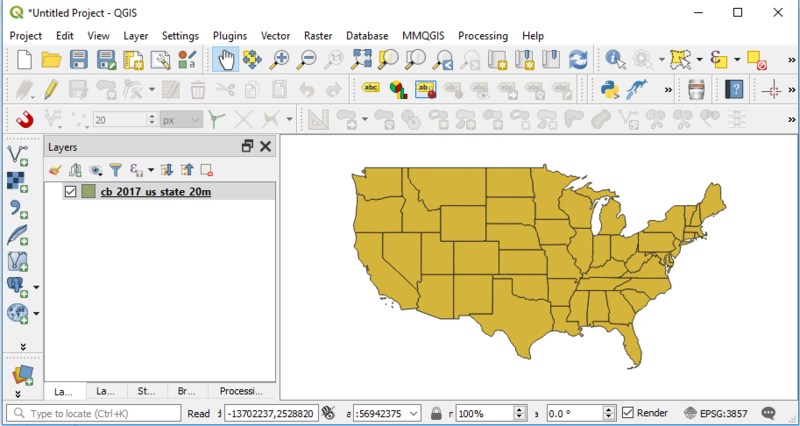 It is about the projection of the USA map shapefile in QGIS. I downloaded the shapefile from https://www.census.gov/geo/maps-data/data/cbf/cbf_state.html, and the map stretched out (squished). It looks wider than it should be. So I tried different projections, including EPSG:102003 USA_Contiguous_Albers_Equal_Area_Conic, EPSG:102004 USA_Contiguous_Lambert_Conformal_Conic and EPSG:102005 USA_Contiguous_Equidistant_Conic, but the map still looks very squished. Is it possible I still miss some important steps? This particular layer is in the CRS EPSG:4269 - NAD83 - Geographic. 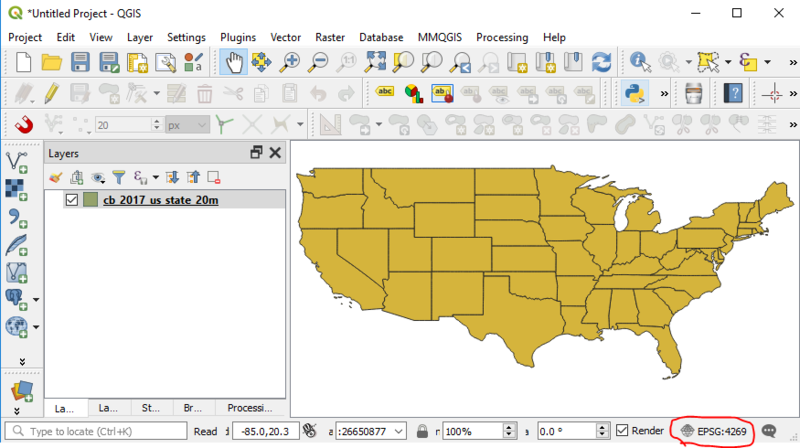 QGIS should automatically figure that out when you load it into your project. Don't change the CRS in the layer properties. It appears "squished" because it's in a different projection than you're used to looking at. There's nothing wrong with the data. You're just not used to seeing maps in this projection. You're probably used to online maps like Google Maps. Google Maps uses the CRS EPSG:3857 - WGS 84 / Pseudo-Mercator. If you want your map to look like Google Maps, change the project CRS to EPSG:3857. QGIS will automatically reproject all the layers in your map "on-the-fly", without modifying the source data. 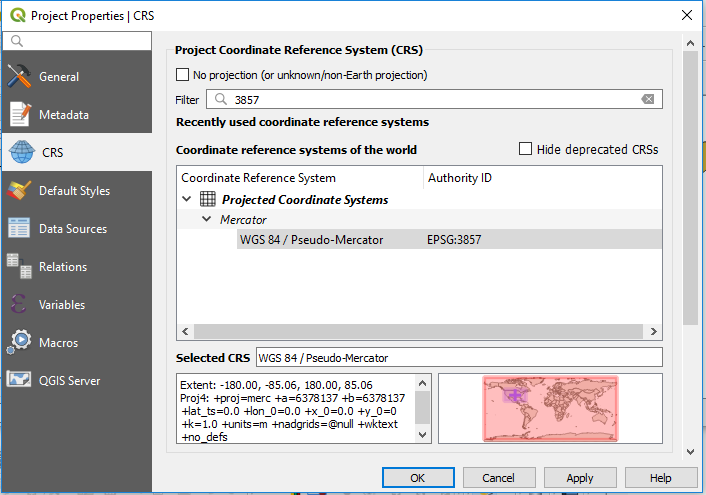 Click on the project CRS in the bottom-right corner of the QGIS window. Select EPSG:3857 from the Project Properties | CRS window; click OK.
QGIS will automatically reproject all the layers in your map "on-the-fly". The map should look normal to you now. If it doesn't, return to step 1 and try different CRS's until you find one that looks right to you.